I’ve been wracking my brain all day about what the heck I’m going to get my loved ones this Christmas. Generally, I hate gift guides. Women’s magazines always have spreads on what to get your fashionable lady friends, beauty gurus recommend the trendiest makeup items, techies find gadgets every programmer would love, and book lovers recommend books. I mean, feel free to give books as gifts. But I happen to know that there is no such thing as ‘one gift fits all.’ Grandma probably won’t want that foldable keyboard, and your brother may not appreciate a posh eyeshadow pallet. So, here are some cool things I’ve discovered whilst online shopping, and maybe you’ll find something for every hard-to-buy-for person on your list. I first learned about this when my cousin posed a question on Facebook: how can he continue writing without filling his house with notebooks? Before I could post a snide remark recommending a computer, someone suggested a reusable notebook. Although I initially thought it was a silly idea, it has really grown on me. 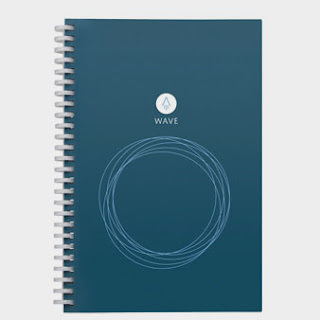 The notebook comes with an app for scanning and storing the pages using your smartphone. Then once you’ve written on all the pages, pop it in the microwave, and voilà! An empty notebook. I really enjoy Royalty Soaps’ YouTube channel. I have no desire to make my own soap, but there is something oddly satisfying about watching someone else do it. After binge watching soap-making videos with the kids, I finally decided to purchase some of her soap. OMG. It’s amazing. The bars are all natural, no sulfates, preservatives, and whatever else people complain doesn’t belong in soap. The fragrances are strong and the bars lather into tons of bubbles. You really can’t lose with scents like “Dragon Fire & Brimstone” and “Tea with Tolstoy.” Unfortunately, this store is totally sold out of everything, but it’s an idea for the next time you need a gift. There are a lot of coffee lovers, so why not help your biggest coffee-loving friend up their coffee game. 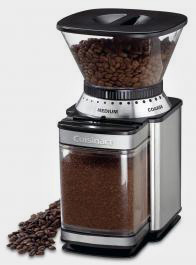 Freshly ground beans make better coffee. No more storing coffee grounds in the freezer! Also, I think it looks quite nice on the kitchen counter. Go ahead and throw in a bag of coffee beans. I’m particularly fond of Dunkin Donuts Original. There’s something appealing about any train/subway/light-rail map. When I visited NYC, instead of getting one of those I♥NY shirts as a souvenir, I found a tee-shirt with the subway map printed on it. Now that I live close(ish) to Washington DC, the metro is where it’s at. 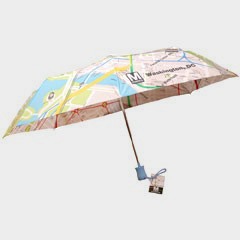 Since it’s hard to guess which size someone wears, why not get them this stylish umbrella? Actually, check out the entire store. They have a backpack that looks like a train and maps emblazoned on jewelry, apparel, mugs, lamps, and more. If you have any little nieces/nephews, get them a fun, interactive toy that sings and lights up. 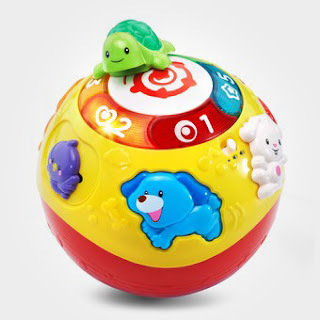 This ball is great because when your baby stops playing with it, it keeps singing to try to get their attention! In all seriousness, as a parent of little ones, these toys are terrible. They’re over stimulating and annoying as hell when they play the same song NINE MILLION TIMES. They claim to be educational, but I’ve found that kids don’t learn anything from this type of toy. At best, it will momentarily grab the child’s attention, and you’ll get a smile and ‘thank you’ when junior opens it. However, if you also like the parents of the child you’re shopping for, get something from Green Toys. They’re well made, eco-friendly, and fun. 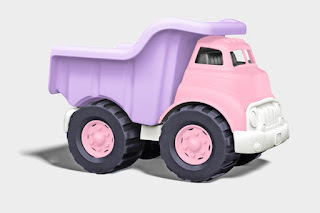 Also, where else can you find a pink dump truck? 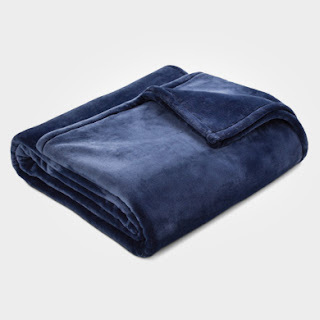 For the person who is always cold, get them the fluffiest, cuddliest, bestest blanket ever. Seriously, these things are awesome. I own an embarrassingly large number of them. This one is also machine washable, which is not true of all microplush blankets. I couldn’t make this list without adding a book. I offer signed copies of my novels here, so if you know anyone who enjoys science fiction novels, give them something a little extra special.